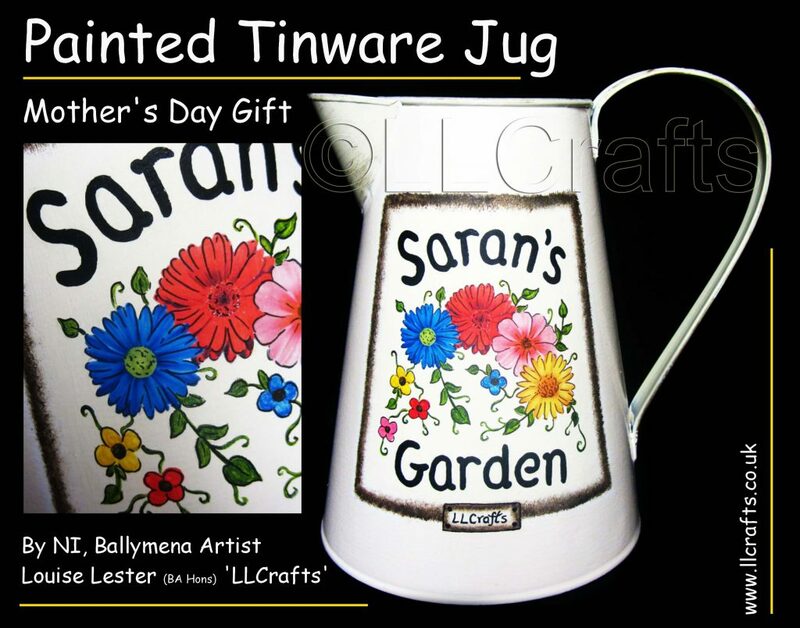 “Hi Louise …….. just to say THANK YOU for the painted jug you did and which I collected yesterday. It was beautiful, and more importantly my wife loved it and it is already in use. I spoke to you’s briefly regarding another one, so if you don’t mind I will call out some day soon to discuss and finalise the detail. Thanks again. Much appreciated” Jimmy, Ballymena, NI, UK. ” What a talent!! 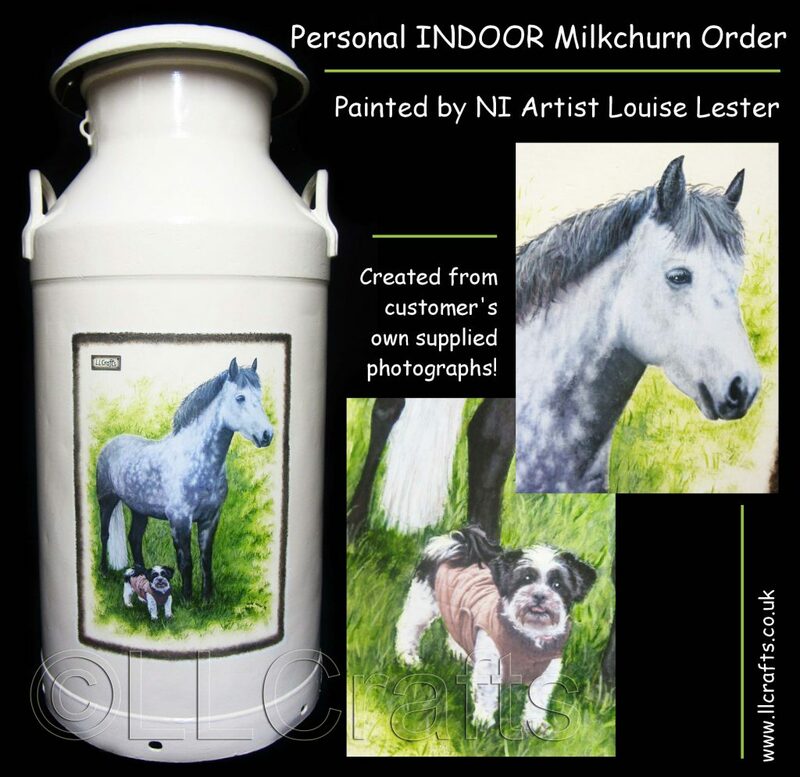 Ordered a milk churn for my mums birthday, turned out better than I could ever have expected, such detail and lovely ladies to work with…… no request was too much trouble! !” Kathy, Limavady, NI, UK. It is always wonderful to hear great feedback from any of my workshops and classes students ……. was another great fun day had by all! Some lovely testimonial comments and feedback from my art students …….. I always appreciate positive feedback and comments! My community art classes run all year round, seasonally ……. all welcome – no skill needed – held in various Co.Antrim, NI community venues. Returning Customer to LLCrafts – after 15 years! This was a wonderful surprise visit, from a customer who first commissioned these ‘Six Porcelain Plates’ 15years ago! and is now returning to place another order again! Wow!! ……. that was almost back when I started out, as ‘LLCrafts’ is now 17yrs old! and the 15 year old plates, painted to match the cups set, are “still as good as the day they were painted!” ….. Happy Days! Very happy customer! Always brilliant to see very satisfied returning customers! So this time the customer has ordered a beautiful handpainted large glass jar, along with a small painted cabinet. You never know what’s going to come through the door at ‘LLCrafts’! Anything can be painted onto anything! 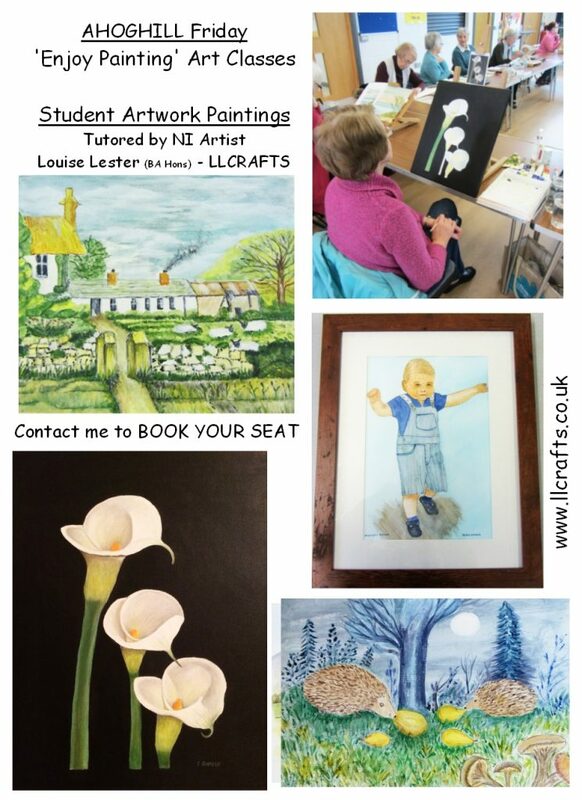 Contact me if you want to join any of my very friendly, relaxing art classes ……… six classes in the week to choose from, held in various Co.Antrim, Northern Ireland community venues. 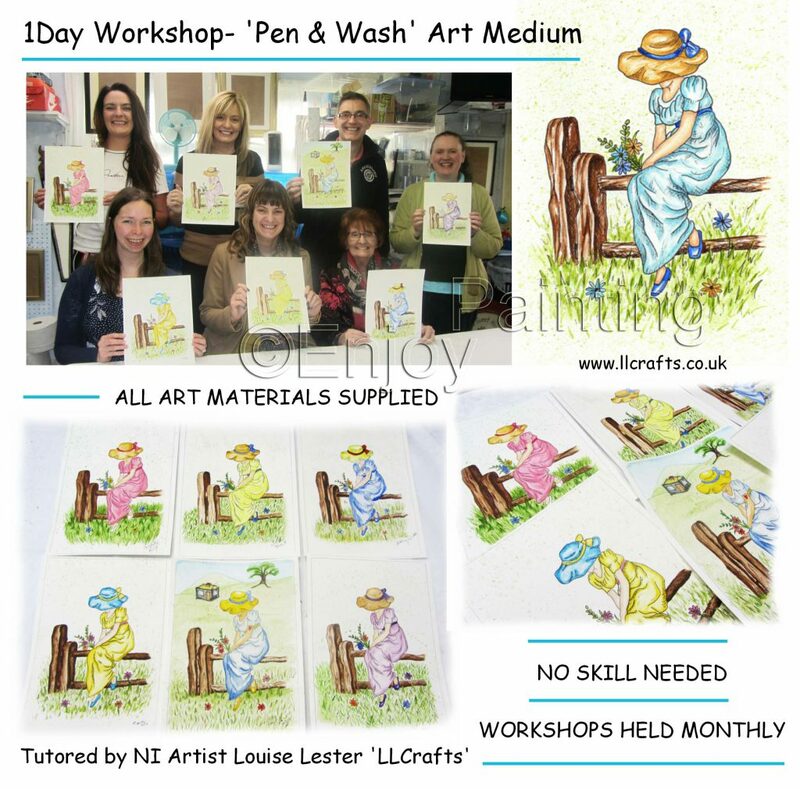 Come and simply ENJOY PAINTING as a fantastic hobby!